What if Yeshua the Messiah Wants Jews to Be Observant? What if Yeshua the Messiah wants Jews to be observant? Let’s take that apart for a moment. I assume and am convinced that Jesus of Nazareth is the Messiah. However, I am also convinced that not every view of him is accurate. For example, too many artists portray him as looking like that nice Gentile fellow down at the gym, or as a sailor off a Norwegian freighter. Not exactly. But people not only get Jesus’ ethnicity wrong: they get his entire ta’am, his flavor, his essence wrong. Let’s face it, for most people the idea that Jesus was the King of the Jews is highly theoretical. And that he is and will everlastingly be the King of the Jews, well that’s unacceptable to many both on the Jewish side and the Christian side. Let’s use our imaginations to do a course correction, shall we? What if Jesus the Messiah wants Jews to be observant. You can be Orthodox, Conservative or Reform, Messianic, or one of the above stilll be observanat. If the Messiah wants Jews to be observant, then those Jews who believe in Yeshua should seek to understand and to seek to order their life around the traditionally interpreted covenantal demands of Jewish identity as reflected in the mitzvot, the commandments of God, that is if they want to give Yeshua what He wants. The Prophet Ezekiel reminds us that at the end of days, we Jews will serve our Messianic King. And the way one serves the Messianic King is by observing his laws—because what Ezekiel has in mind is an Oriental Potentate. This is how he puts it, speaking for God: “My servant David will be king over them, and all of them will have one shepherd; they will live by my rulings and keep and observe my regulations (37:24).” Those terms for rulings and regulations are the standard terms for the nuts and bolts of Torah living. If the Messiah wants Jews to be observant, then it will not do to teach Messianic Jews that it’s alright to be observant “if that’s your style,” as long as you don’t expect other Jews to do so also. On the contrary, if this is true then all Jews who believe in Yeshua SHOULD become observant not as a matter of style but of obedience, and they should encourage other Jews to do so as well! If the Messiah wants Jews to be observant, then all of us should applaud and support wherever mitzvah observance is being advanced in the Jewish world. This means we will have to stop disparaging Jewish practice as if it is superfluous and besides the point. No, if the Messiah wants Jews to be observant, then for Jews to do so is very much ON point! 2“The teachers of the law and the Pharisees sit in Moses’ seat. 3So you must be careful to do everything they tell you. But do not do what they do, for they do not practice what they preach” (Matthew 23), thus emphasizing that the Scribes and Pharisees, the custodians of traditional Judaism, are authorized by say what Judaism teaches, and that what they teach is basically sound. What is NOT sound is their practice! (Matthew 23). Well, in fact He did say these things, because guess what: The Messiah does want Jews to be observant. So let me leave you with some questions. 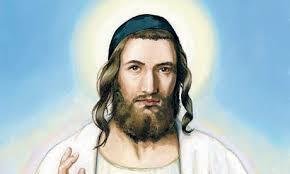 Do you want it to be true that Yeshua the Messiah wants Jews to be obervant? Or do you want to prove to yourself it is not true that Yeshua the Messiah wants Jews to be observant? And if so, what’s the deep down reason why you hold that opinion? Are you saying that Jews, especially Messianic Jews, should live like good Christians? If Yeshua the Messiah does not want Jews to be observant, what does that say about him being good news for the Jewish people as whole? Or not? What are you going to do about what you just read?